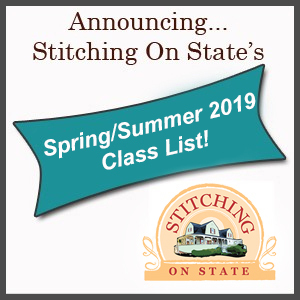 Make new friends and learn a new skill when taking Start Quilting at Stitching on State. 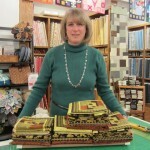 You will learn everything from basic rotary cutting, strip piecing, simple machine quilting, to putting a binding on. We will work on three small projects. Learn how to make a simple rail fence wall hanging, a nine patch checker board, the learn to make half square triangles and flying geese to create a beautiful original table runner. Whether you are a self taught quilter looking for some formal training or a new quilter wanting to learn a new skill, this is a great place to begin. Come join the wonderful world of quilting. Download the Current Class Schedule. Click Below! We are closed on all major holidays and on Mother’s Day and Father’s Day so we can spend time with our families.